I wanted a nice and simple invitation to play for T for our space theme. 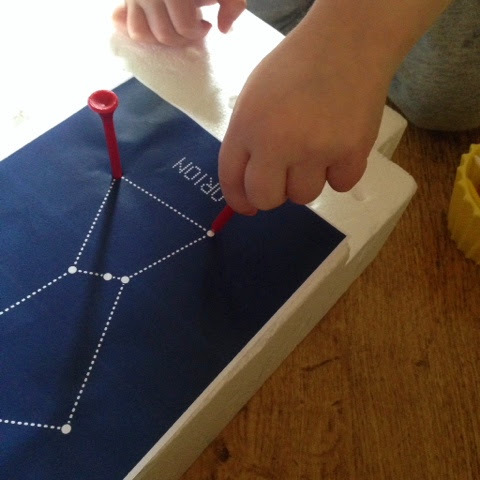 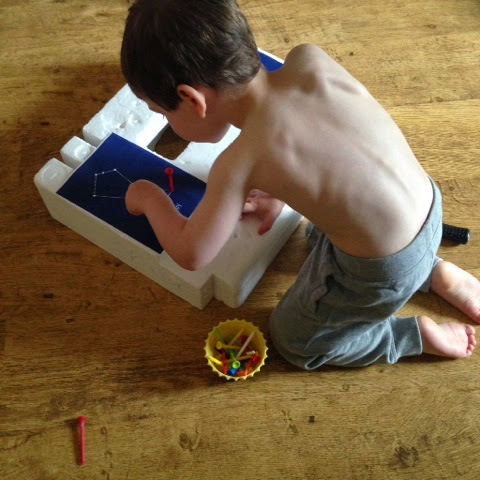 Using a large block of polystyrene I keep for T's hammering practice, I attached 2 pictures at a time using double sided tape to keep it still whilst T was hammering. He started off tentatively pushing the tees into the stars with enough force to stand them up. 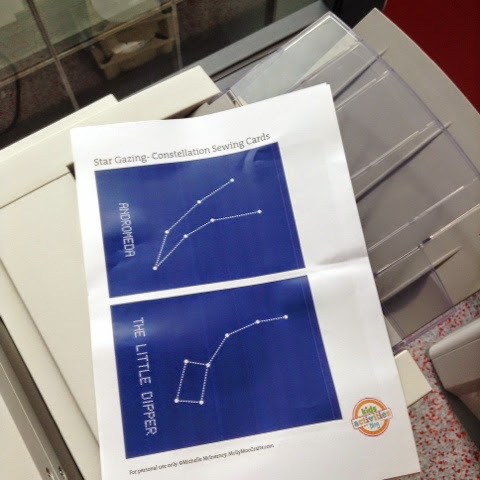 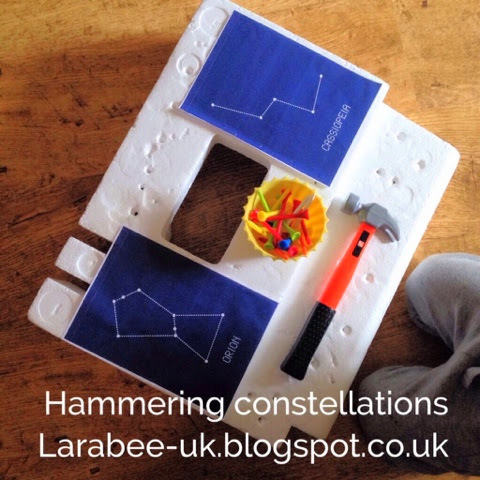 A super, quick and easy little activity which I like to think subliminally teaches the constellations, we have a star for The Hubs Dad in Orion's Belt and so it's really important for me that T can recognise this constellation and understands it's importance to us as a family, I like to hope that doing little activities like this will help to reinforce that.